​West Ham manager Manuel Pellegrini stopped short of ruling out a departure for Hammers forward Marko Arnautovic this month. The Austrian star has been widely linked with a move away from east London in recent days after reportedly receiving a lucrative offer from China, which is suggested to have turned Arnautovic’s head.  - Waving goodbye to @WestHamUtd? 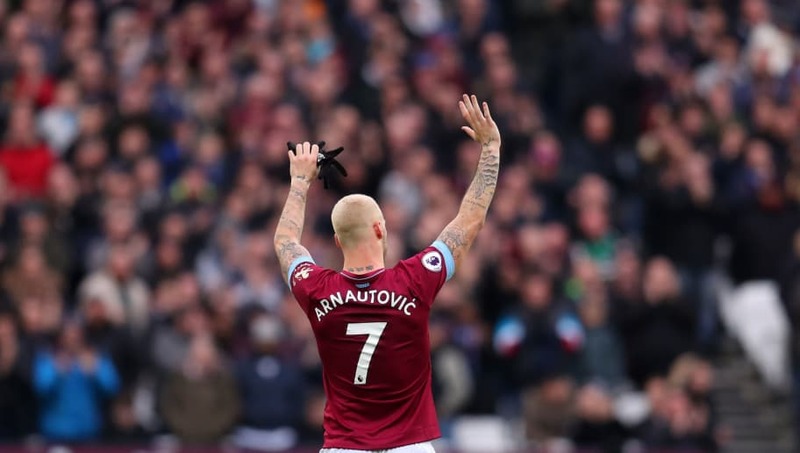 During ​West Ham’s 1-0 win over ​Arsenal on Saturday, the Hammers attacker appeared to wave to the home crowd in a telling gesture, suggesting that ​Arnautovic may be on the verge of an exit. After the game, Pellegrini said, via the ​Mirror: “We will see what happens in the next few days. “I repeat, the club must see what is best for the club, the player, for everyone. Arnautovic struggled to make an impact on Saturday’s game at the London Stadium despite being included in Pellegrini’s starting XI, and the Chilean opted to replace his star forward with 20 minutes remaining in the match. With Arnautovic failing to get on the scoresheet, it was Declan Rice who fired his side to a 1-0 victory over the Gunners. The young midfield star turned in a complete display at the London Stadium, and Pellegrini said of Rice after the game: “I am sure that Declan will be a top, top player. West Ham’s victory continued to build upon the Hammers’ steady run of progression under Pellegrini in recent weeks, though the potential exit of star man Arnautovic could see the Hammers forced to reassess their plans for the second half of the season.